Milada, a young Czechoslovakian girl, lives in the time of World War II. She resides in a small, peaceful Christian town. So why do the Nazis decide to attack them? No one understands this, and the Nazis’ confusing German language doesn’t help. Her Papa and older brother, Jaroslav, were separated by Nazis from the women of Milada’s family. Her Babichka, grandmother, her Mama, her baby sister, Anechka, and herself are taken to two different schools, as shelters. In the second school, Milada and Ruzha, one of Milada’s classmates, are brought to a room full of children with light-colored eyes and blonde hair. Just like them. Milada is frightened by the Nazis who turned her into Eva, but stands by what her family taught her and refuses to become one of them. Her homesickness grows everyday as she tries to remember who she was. 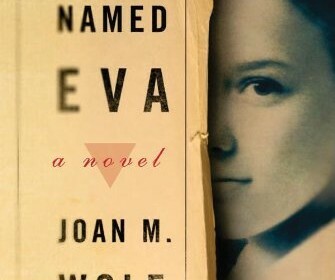 Eva or Milada? Joan M. Wolf is an admirable author. I nearly believed she was Milada, and was writing from her own experiences. Most events in the book have actually occurred, and in the afternote she describes exactly what happened during the war. While writing the book, she visited the Lidice Memorial in the Czech Republic and met some survivors and listened to one woman’s anecdote which was very comparable to Milada’s. With quotes like, “Remember who you are, Milada. Remember where you are from. Always.” You’ll fall in love with this heartfelt, inspiring story. For some, this book can be very tiresome since it doesn’t have much adventure, but I thought it was truly great. Clarion books have produced an extravagant 200-page, paperback novel.